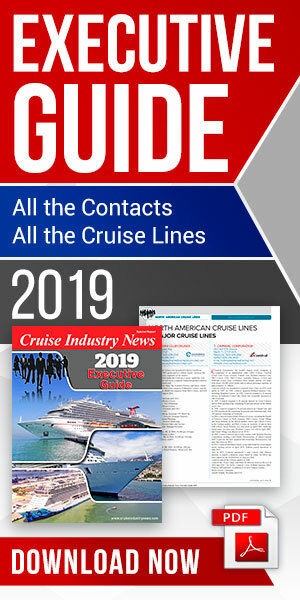 (Excerpted from the Cruise Industry News Magazine) It has been 20 years since the launch of Radisson Diamond Cruises, which eventually became Regent Seven Seas Cruises. The official start-up date was May 26, 1992, with the christening of the twin-hull, 19,000-ton, 354-passenger Radisson Diamond. The ship, which was owned by Finnish-based Diamond Cruise Ltd., was built at cost of $125 million by Finnyards, and would be managed by Radisson Diamond Cruises, a partnership between the Finnish owners and the Minneapolis-based Radisson Hotel Corporation owned by the Carlson Group. Finnish Captain Offe Nyblin was the entrepreneur behind the start-up and the twin-hull concept. Mark Conroy came onboard from the very beginning as president. “By 1994, we merged with Seven Seas Cruises and took over the Song of Flower. We began to move in the right direction,” he continued. By 1996, Carlson acquired the Diamond from the Finnish bankers, which had since taken over the ship from the original owners, and next year, the cruise line also took on the sales and marketing for the Paul Gauguin in French Polynesia. At the same time, Radisson Diamond and the Carlson group entered into a new partnership with the Vlasov Group, owners of Monaco-based V.Ships, to build and operate new ships. The first newbuilding was the 28,550-ton, 490-passenger Seven Seas Navigator, which entered service in 1999, followed by the 48,075-ton, 700-passenger Mariner in 2001 and the 42,363-ton, 700-passenger Voyager in 2003. “In 2005, the Diamond left us, and in 2006, we changed our name from Radisson to Regent Seven Seas Cruises,” Conroy said. 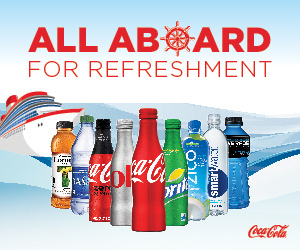 “Regent is a great name for a cruise line; at the same time our product became more inclusive. “Our business is focused on the customer; we try to anticipate and meet their needs; and then the rest will take care of itself. This has evolved over time but our focus is on who the customers are and what they want,” Conroy said. If there is a secret weapon, it is to have good hardware combined with good food and service, according to Conroy, plus attention to detail. He said that people should not have to compromise their lifestyle when they go on vacation. Photos: Signing the agreement launching Radisson Diamond Cruises, Captain Offe Nyblin (left) and Curtis Carlson, chairman, Carlson Companies. The twin-hull Radisson Diamond. Mark Conroy, president of Regent Seven Seas Cruises.